Fresh Air Technologies is your Charlotte area mold removal, mold remediation and mold cleanup specialists. The professional mold remediation and mold removal experts at Fresh Air Technologies work with home and business owners in the Charlotte area to promote and provide healthier indoor environments. Fresh Air Technologies is not a national mold remediation company - we are a locally owned and operated mold remediation and indoor air quality company located in the Charlotte, NC area. 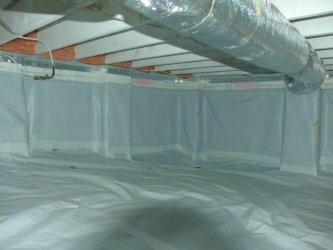 There are many benefits to choosing a local mold remediation company such as Fresh Air Technologies. You will find our mold experts are experienced in detecting the most common hiding places for mold and mildew in kitchens, bathrooms, crawlspaces and other indoor environments in homes and businesses across Charlotte, NC. In most situations, our mold remediation experts are also very discreet when providing mold removal and cleanup services - you don't need your neighbors knowing you have mold in your home or business! In fact, our company provides an array of indoor air quality solutions such as air duct cleaning, air duct sealing, waterproofing systems, drainage systems, dry ice blasting, air purification systems, crawlspace sealing and attic insulation replacement and removal. If you have a mold problem that we are inspecting, your friends and neighbors might think we are just cleaning your air ducts or sealing a crawlspace. There is no need to be embarrassed by an unsightly and unhealthy mold situation - as long as you call Fresh Air Technologies, your local mold remediation experts, your problems will be handled quickly, professionally and completely.